O Himalayas, here I come! The Dhauladhar range, Lesser Himalayas. My sister clicked this pic on one of our random walks through Dharmashaala, HP. A family occasion gave me an opportunity to visit the beautiful state of Himachal Pradesh. Part 1 of the trip. I had never been north of Delhi. As for the Himalayas, I had only seen them on TV and read in books. So, I was definitely looking forward to a trip to Himachal Pradesh for a family function. I took the night flight from Hyderabad to my hometown Ahmedabad. Then boarded the Adi Jat express train with family, destination being the town of Pathankot in Punjab. We had booked our tickets in the 3 Tier AC coach. On reaching the station, I smiled. Some things never change. The haggling with red-dressed porters. The malfunctioning AC in the bogies. The irritatingly unclean platforms. The location-specific tasty snacks – rabdi at Abu Road, lassi at Faridkot, chole bhature at Bathinda. The announcements on platforms, the train pantry food, the paper soaps, the sweet tea and coffee brought by vendors. And man may come and man may go, but our dear old Indian Railways will always remain the same! The Adi Jat express took us across the states of Gujarat, Rajasthan and Punjab. First the dry lands of north Gujarat and Rajasthan. Barren landscape with occasional scrubby trees. Which slowly gave way to the green fields of Punjab. The bread basket of India – large farms and mechanized irrigation techniques. We passed really close to the Pakistan border, the station of Firozpur was just 10 kms away! Landed at Pathankot sometime late afternoon. This frontier town is at a lot of cross-roads – the meeting of the plains of Punjab with the Himalayan foothills; intersection of the state of Punjab, Himachal Pradesh and Jammu & Kashmir; and the 2 countries – India and Pakistan. We then took a taxi from Pathankot to Dharmashaala. The elevation increases from 300 m to 1.5 kms in these 80 odd kms. And the temperature drops significantly – from 30 C in Pathankot to about 10 C.
After the stomach churning trip through the winding and steep roads, with amazing views of the Himalayan streams, cliffs and valleys, we reached Dharmashaala at 7.30 pm. 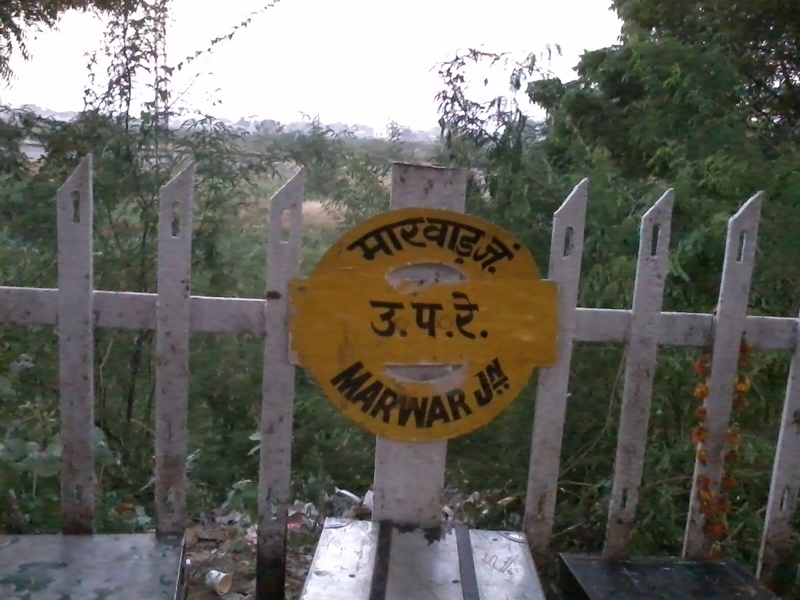 Marwar junction, Rajasthan. Though itself being a small town, the people from this region are known for their business acumen. 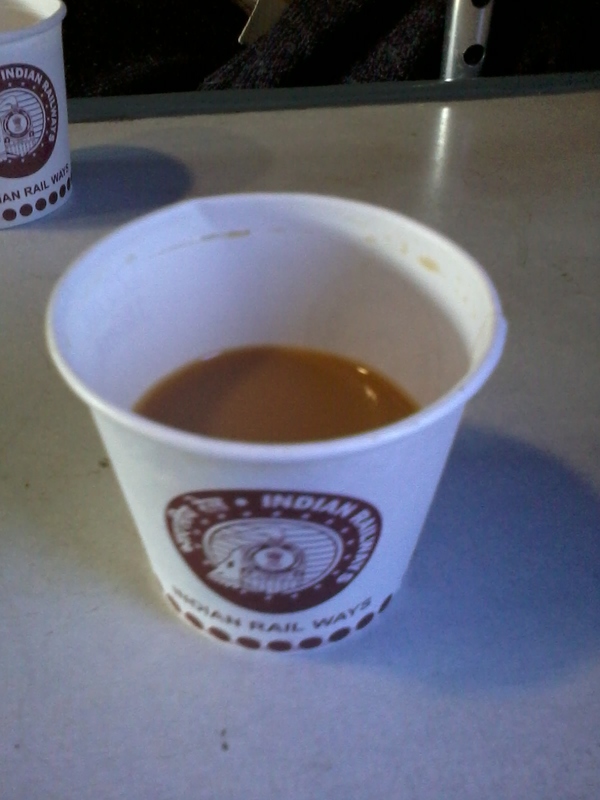 The Indian Railways pantry tea. It has been the same as long as I can remember! Looks like you had a long travel literary!! True to your profession when you rake in kms upon kms crossing junctions and intersections:). And yes, Himalayas are a soothing sight. I had a glimpse of “Kanchenjunga” when i had been to Sikkim some time back. Also had weird exp of the gong sounds that the lamas blow out during processions. Looking forward to read your future post on your experiences! 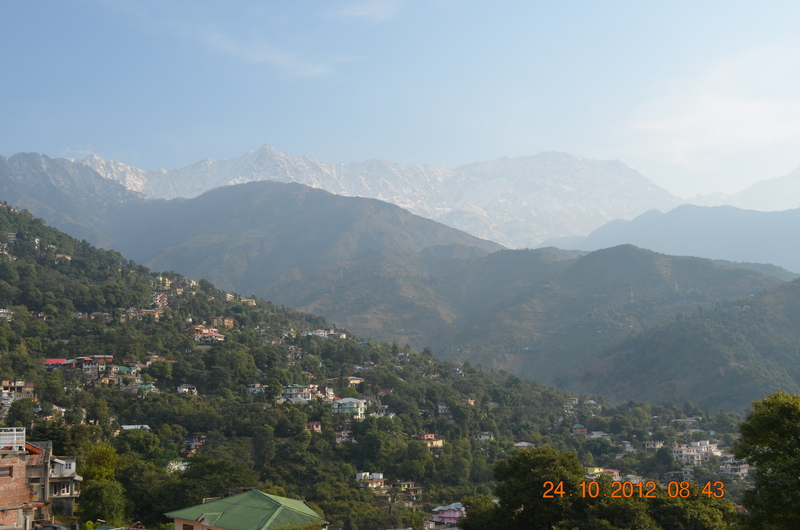 We had been to Dharamshala in the 60s. It was heavenly then and appears heavenly now! Half a century ago! It must have been very beautiful then!